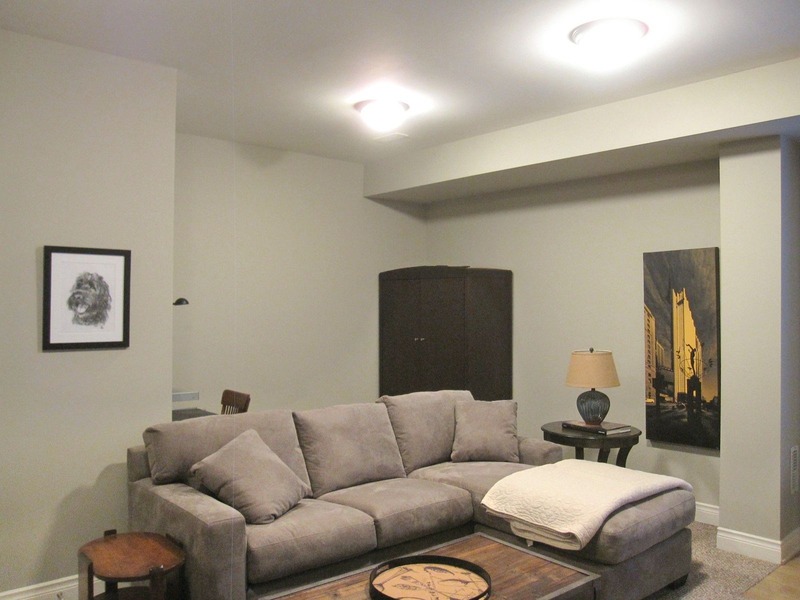 Square Footage: ~2,100 sq. ft.
Pets: No dogs or cats please! Smoking: Your new home is 100% smoke-free! 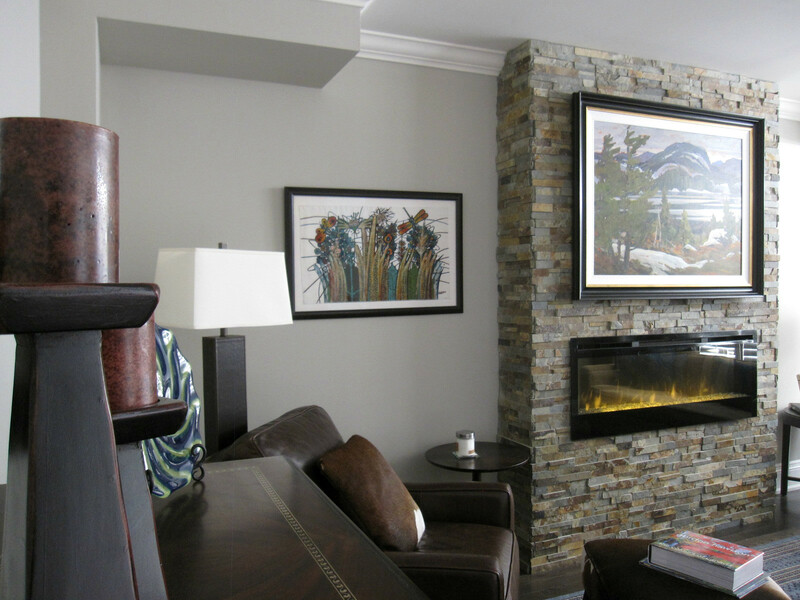 If you’re looking for a home that breaks the boundaries of tradition and predictability you’ve met your match. 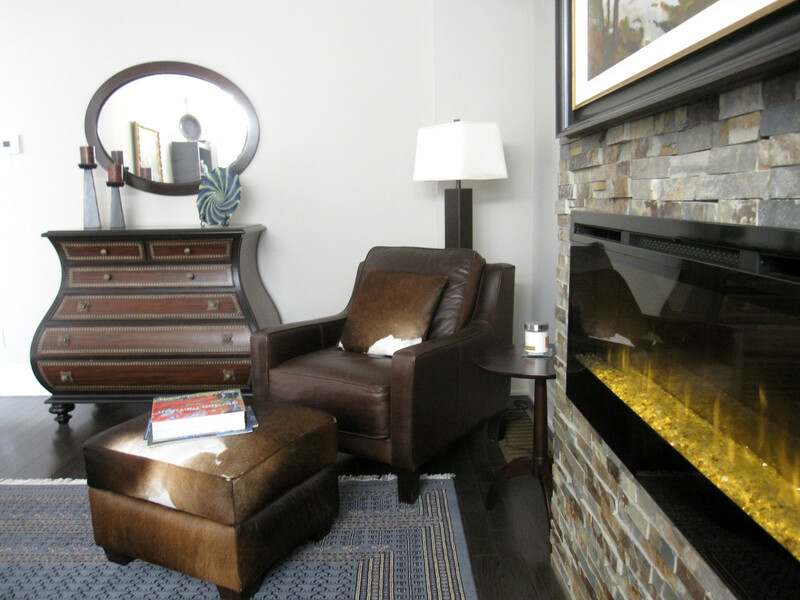 Not only is this home adorned with quality finishes and craftsmanship, each room tells a story. 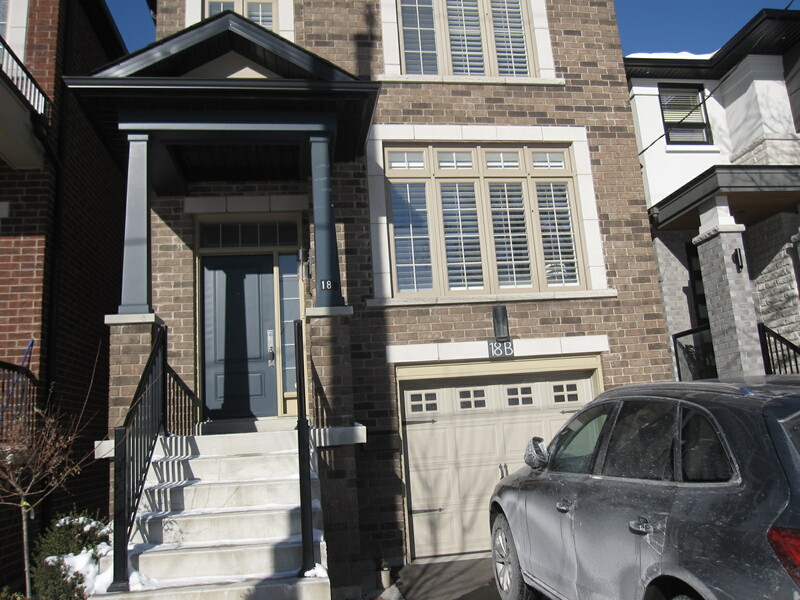 Located on a residential tree lined street in the heart of Etobicoke, 18B Algoma is a must see property! 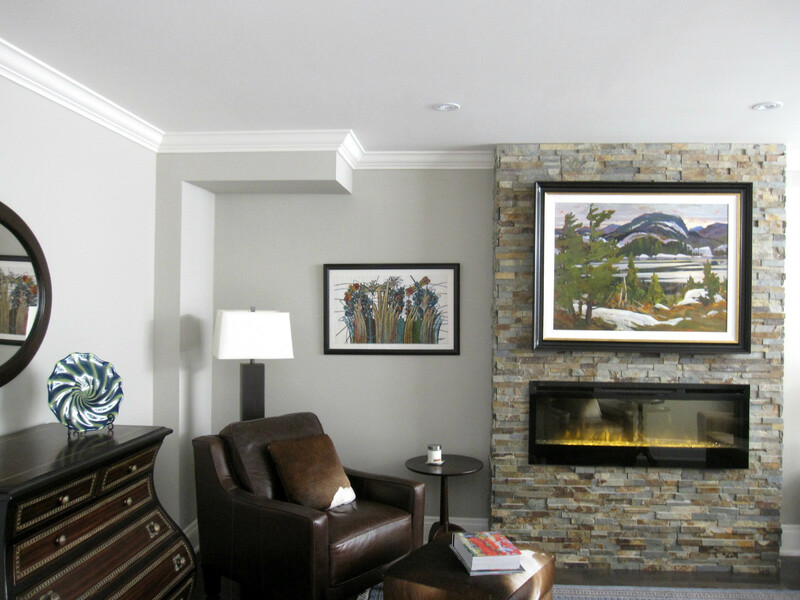 Welcome Home, your stunning fully furnished haven is far from the ordinary. This luxury 3 bedroom 3.5 bathroom home is everything you want and more. Take pride in making this house your home. 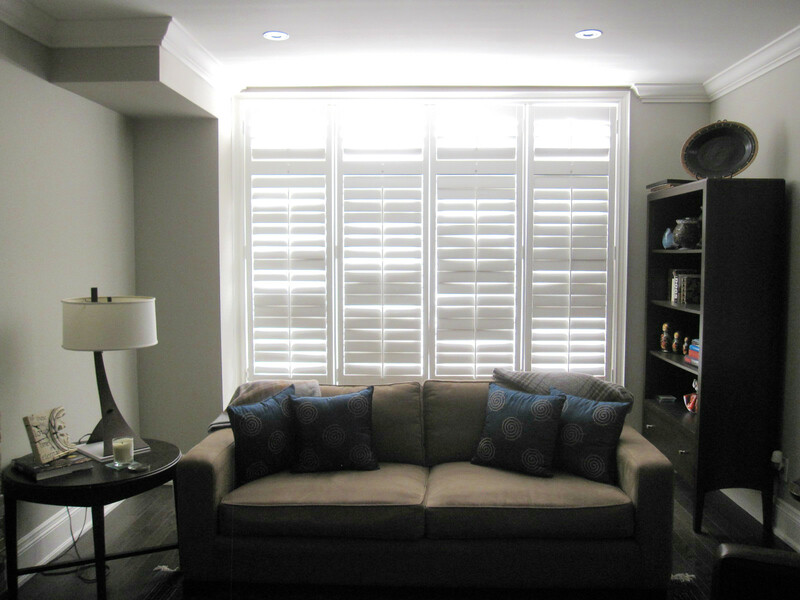 As you enter the home you are welcomed by a grand meeting room with plenty of natural light beaming through the shutters. 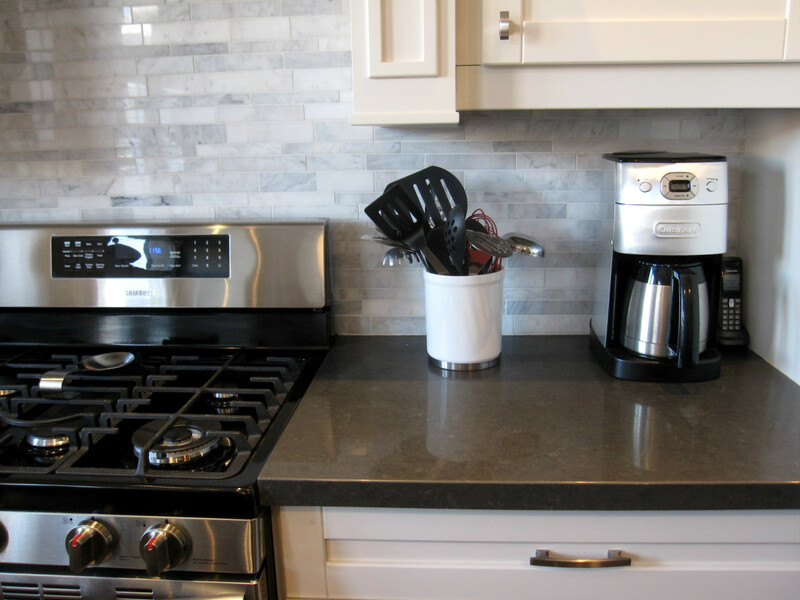 During the evenings and late nights, enjoy the brightly lit pot lights throughout. 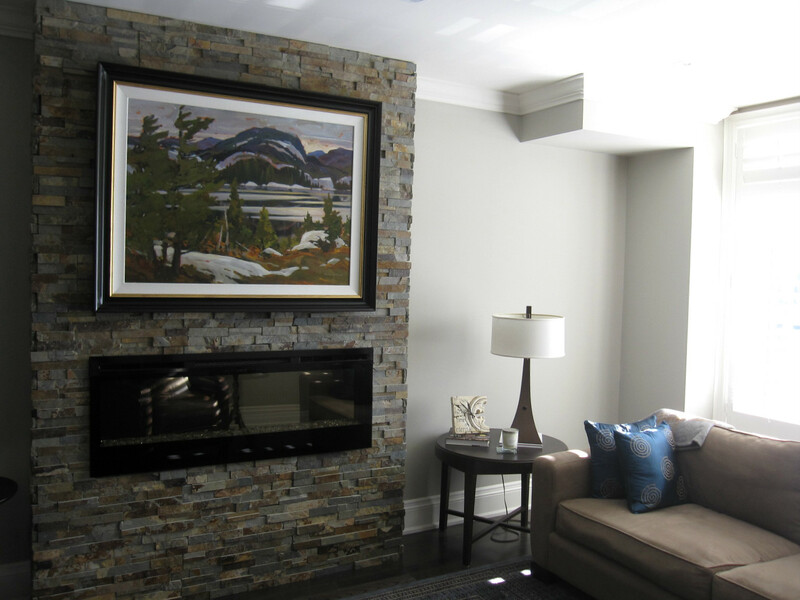 One of the highlights of this meeting room is the exposed slate surrounding the electric fireplace. It gives this space a lot of character and charm. The mixture of designer furniture, exposed brick and breathtaking art pieces along the walls create a great foundation for the rest of the home. 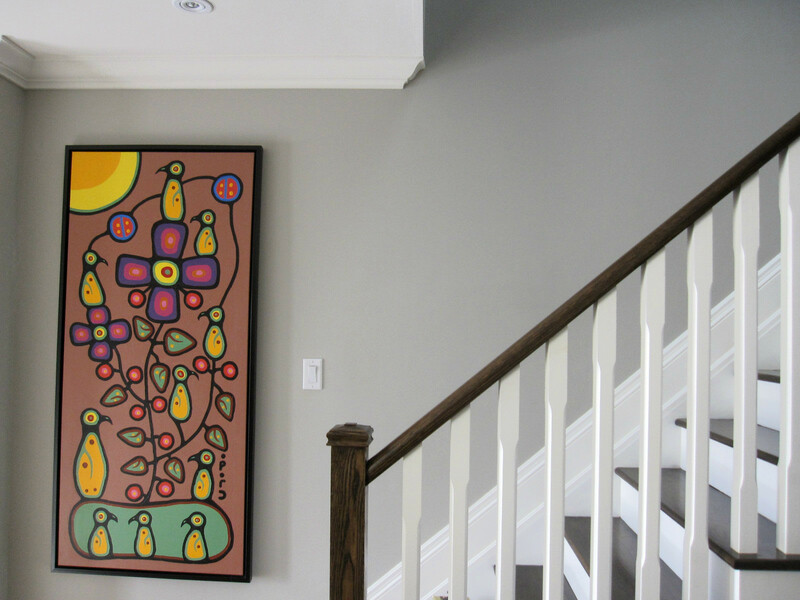 Continue down the hall and a few short steps you are met by high ceilings, crown molding, pot lights and captivating art pieces along the way. 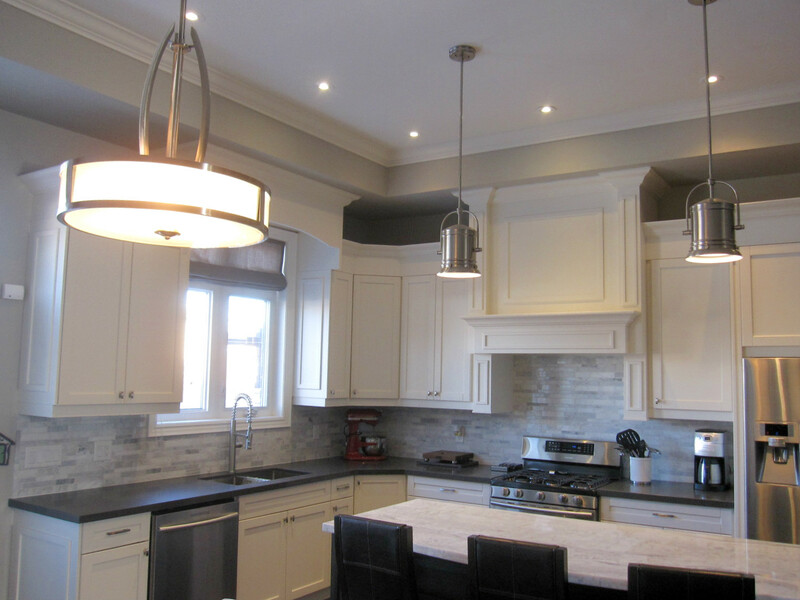 This is your open concept kitchen, living and dining space. Complete with stainless steel Samsung appliances, and a gas burning stove. 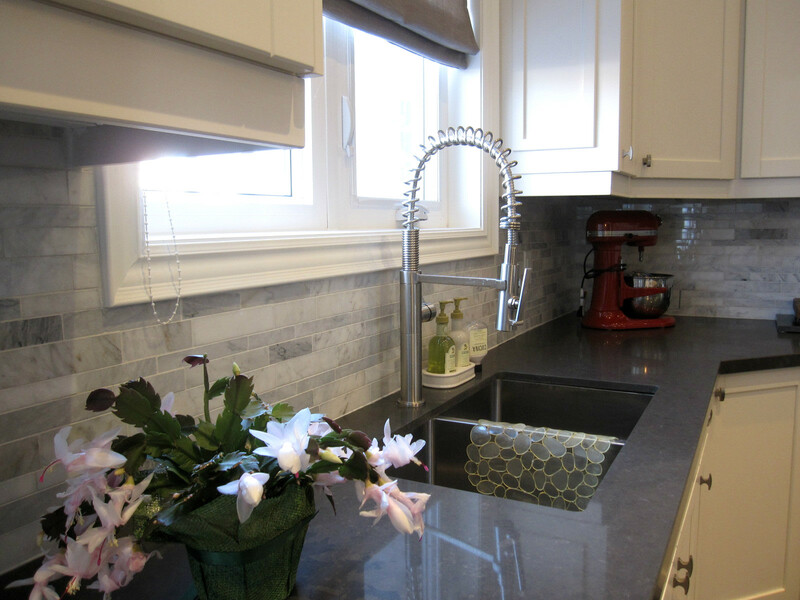 The quartz counter tops along the island are perfect for a spread of delicious food for Brunch or Dinner gatherings! 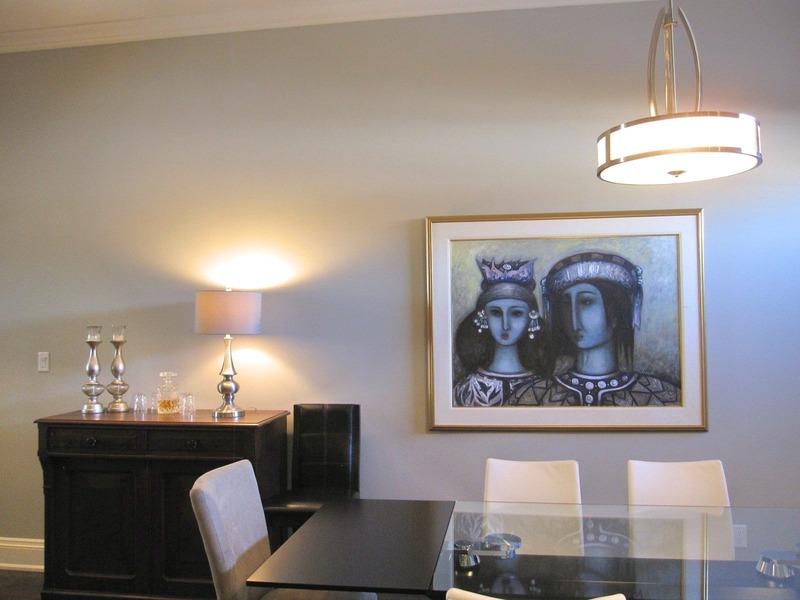 Host your guests in style with additional dinning space. A beautifully crafted glass dinner table extends from an 8-seater to a 10-seater creating more space for guests! 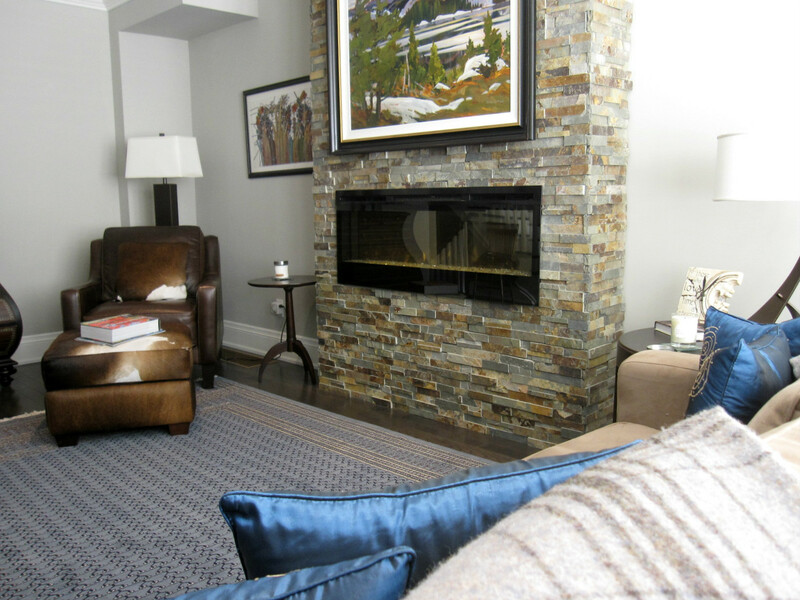 The living room space is ideal for hosting guests. 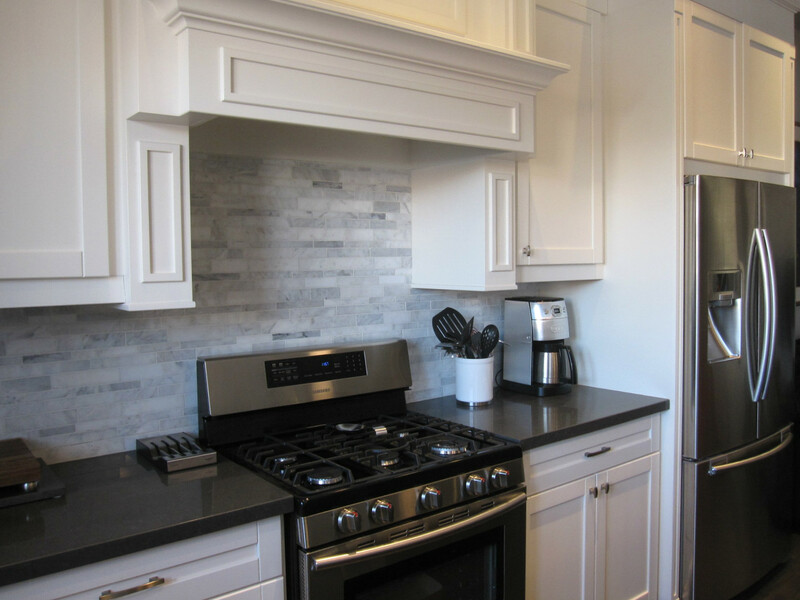 Hang out and watch TV while you cook up a meal or catch up with family and friends. Downstairs you will find an entrance to your garage equipped with automatic opener available to you for both car or personal storage. A few steps further down and you have entered your basement space. The basement is 100% finished! 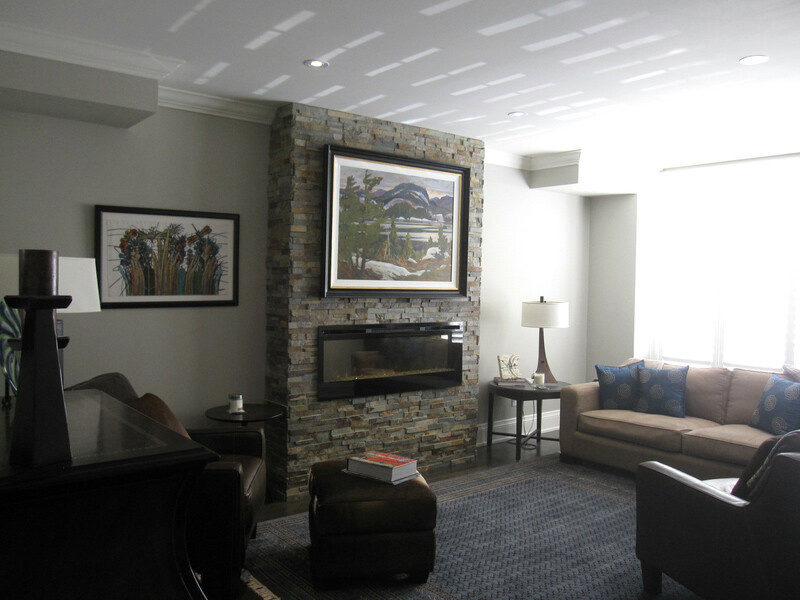 High ceilings, pot lit ceilings, comfy furniture and an area to browse the net or study. 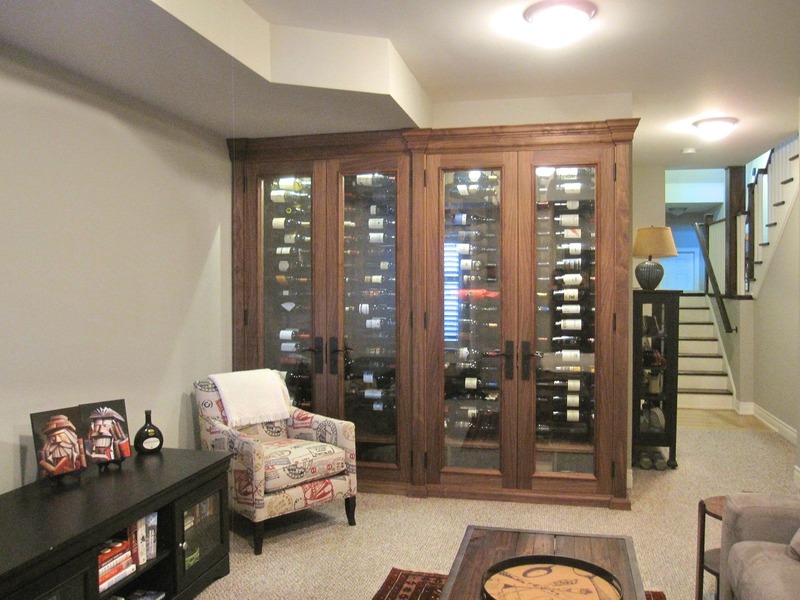 The basement unit has a backyard walk out, making it convenient to enter and exit the home with ease. 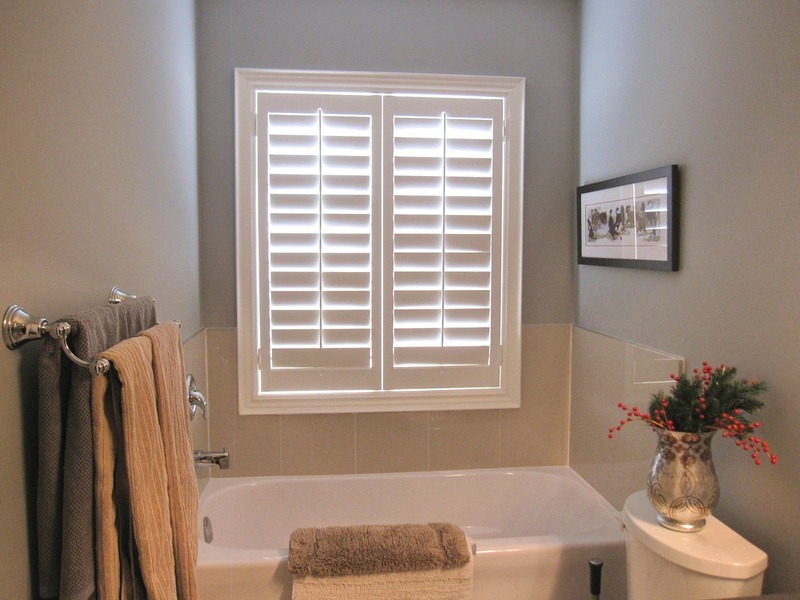 You will also find a 2-piece powder room available for easy access. 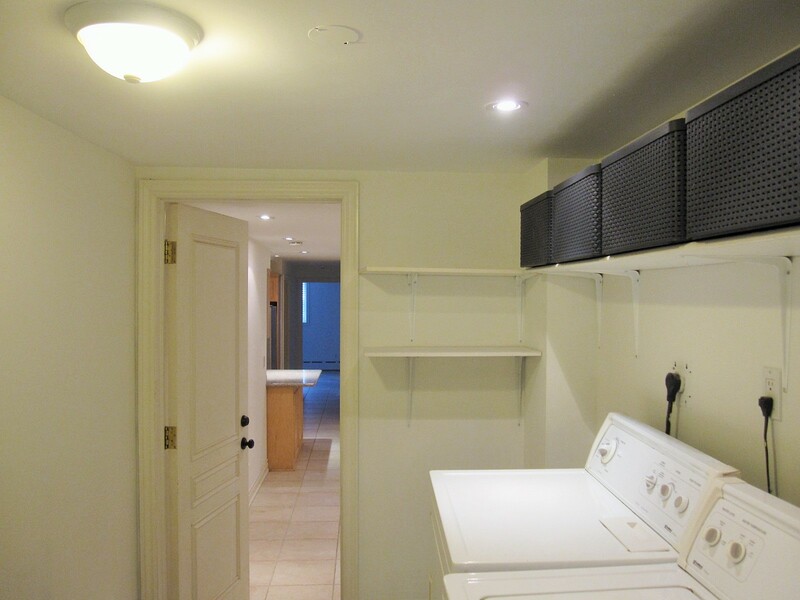 The laundry room is also conveniently located in the basement! 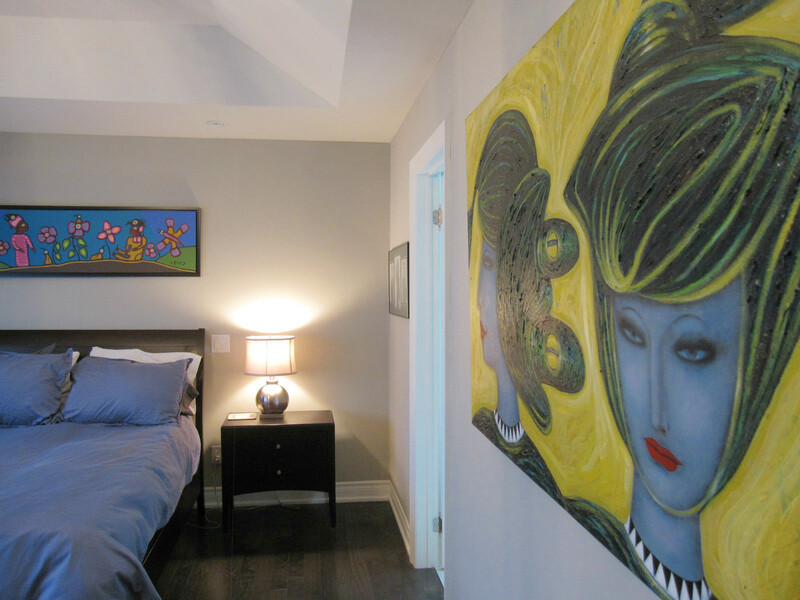 The entire house is conveniently crafted with love and practicality. 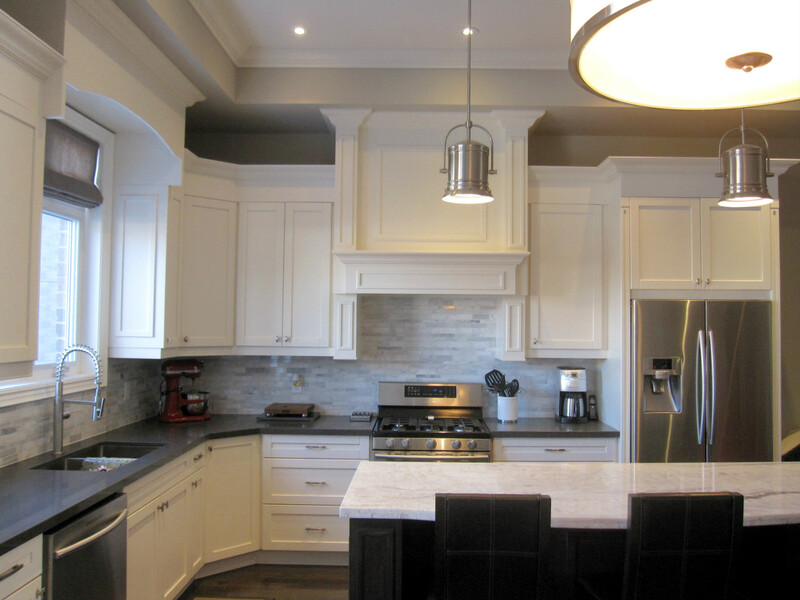 The upper level of the home is nothing less than a treat. 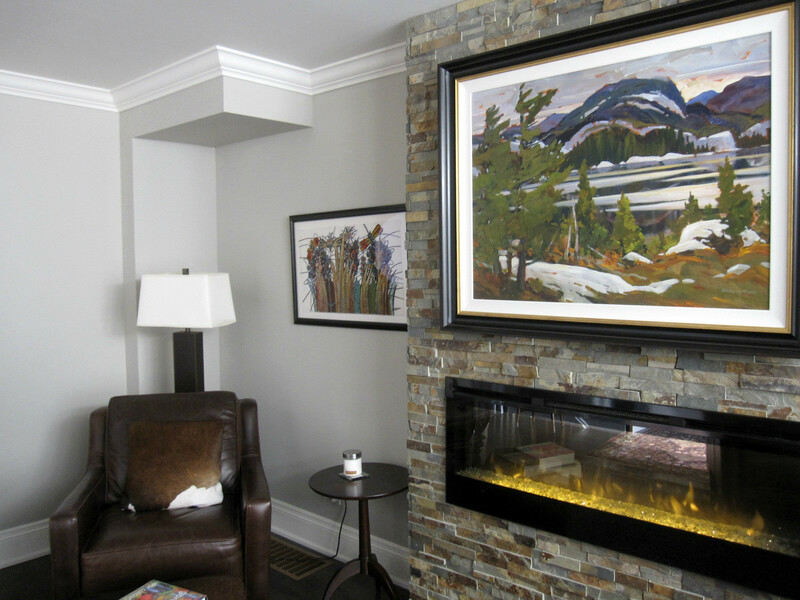 Each and every room is fully furnished and decorated with attention to detail. 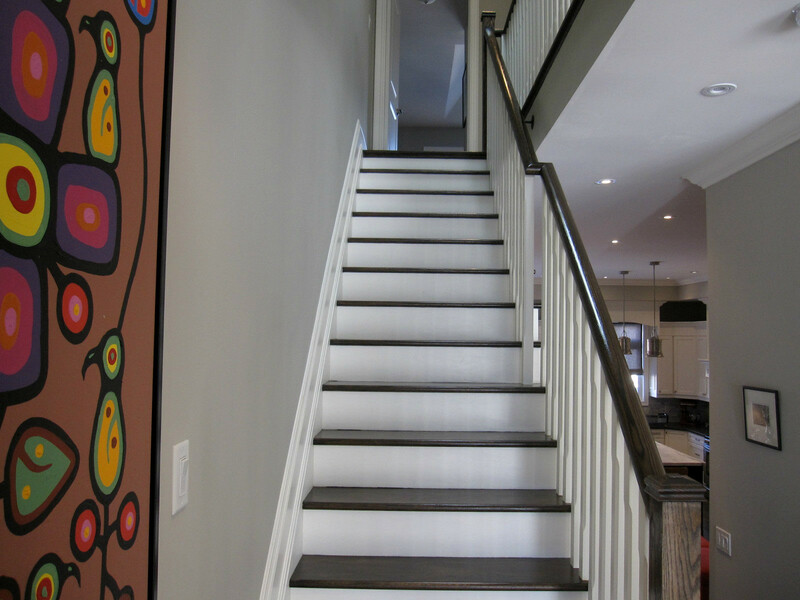 Before you enter the rooms, the wood crafted stairwell will lead you to a bright open hall. Look up at the hallway skylight, and appreciate the beauty of the sun and stars. 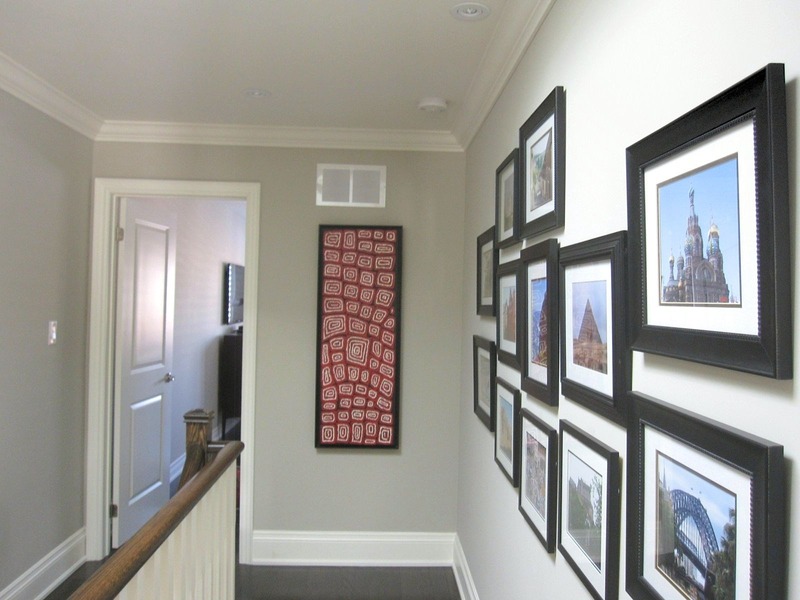 Along the walls are snapshots from around the world, adding to the character of the home. 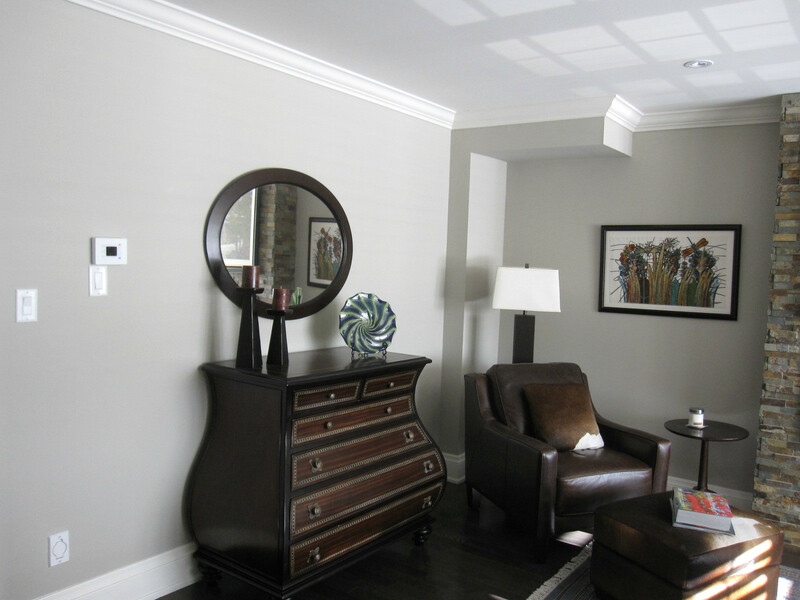 As you enter the first bedroom, the architectural details of the ceiling create a modern flare. The comfy Queen size bed will have you falling sleep within seconds! 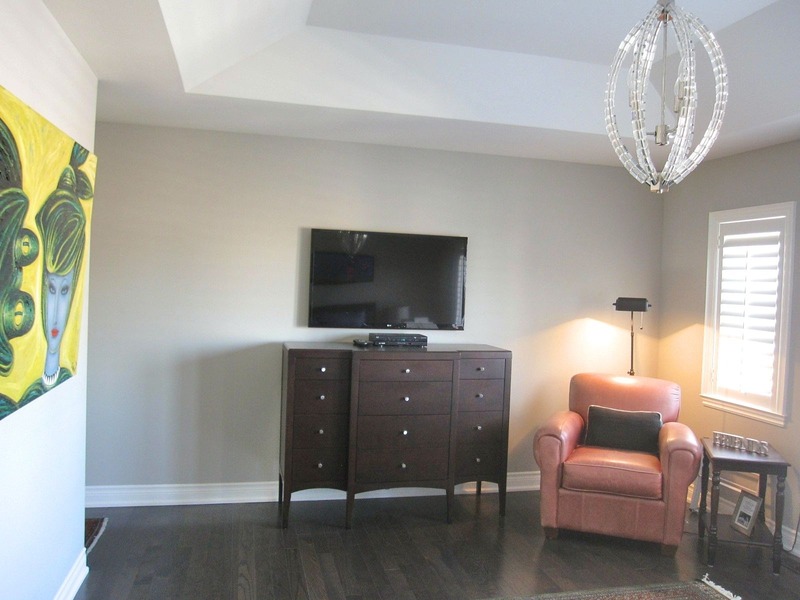 A television is also mounted for your viewing pleasure. 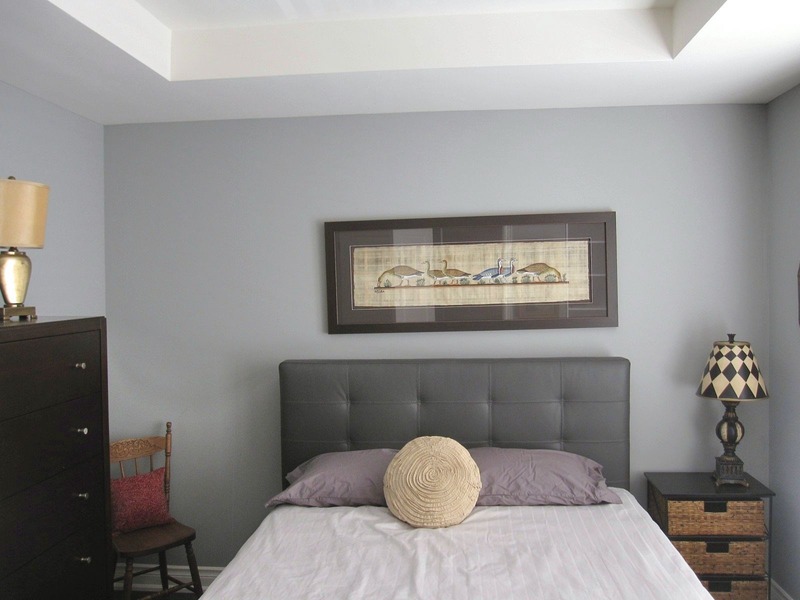 With plenty of space, natural light, cute table lamps and a generously sized closet, this room is simply awesome. Next door down the hall is bedroom number 2! 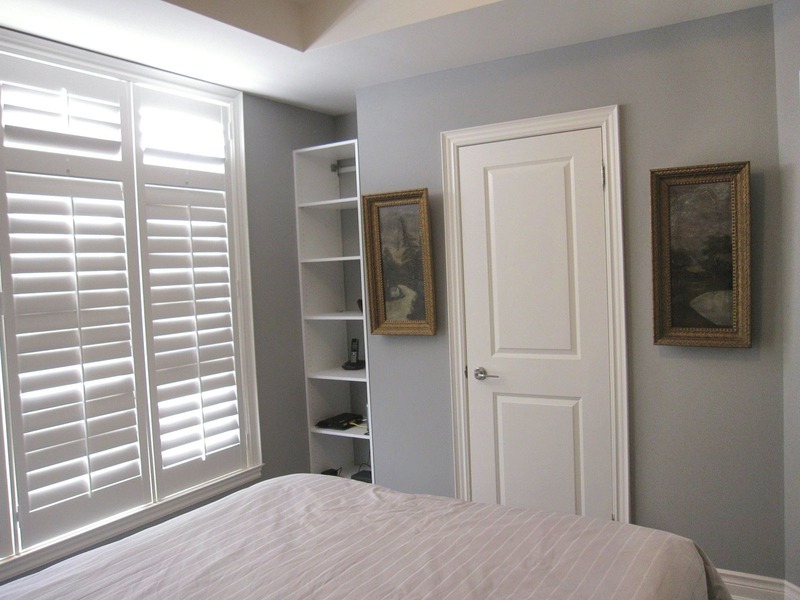 This room has plenty of natural light, closet space, shelving and a beautiful wooden armoire for extra storage. 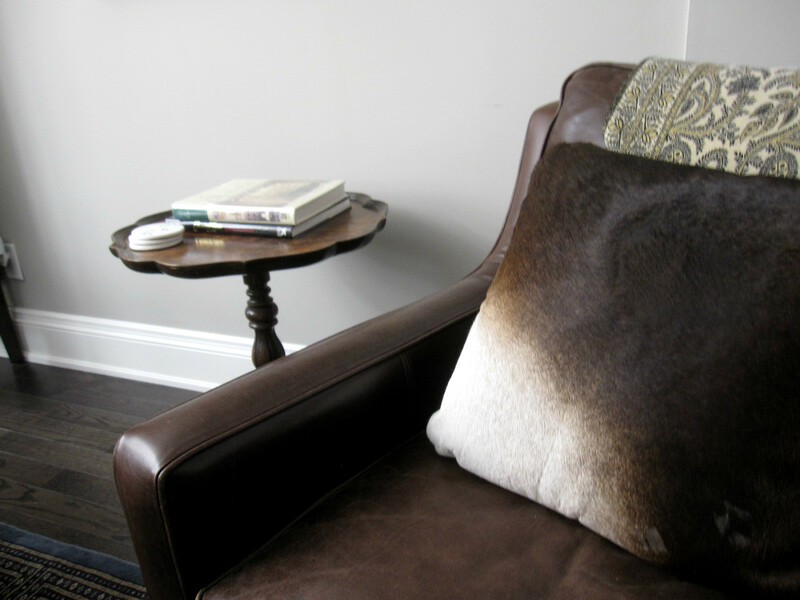 The contrasts of greys, browns, wood and gold accents within the room create a modern rugged vibe. 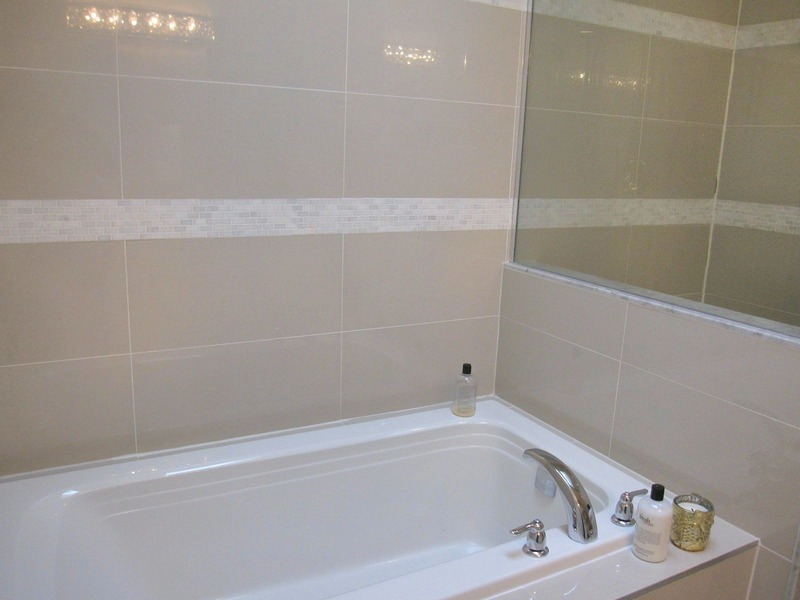 Conveniently located across the hall from both bedrooms is the 4-piece bathroom and it sure is glam! 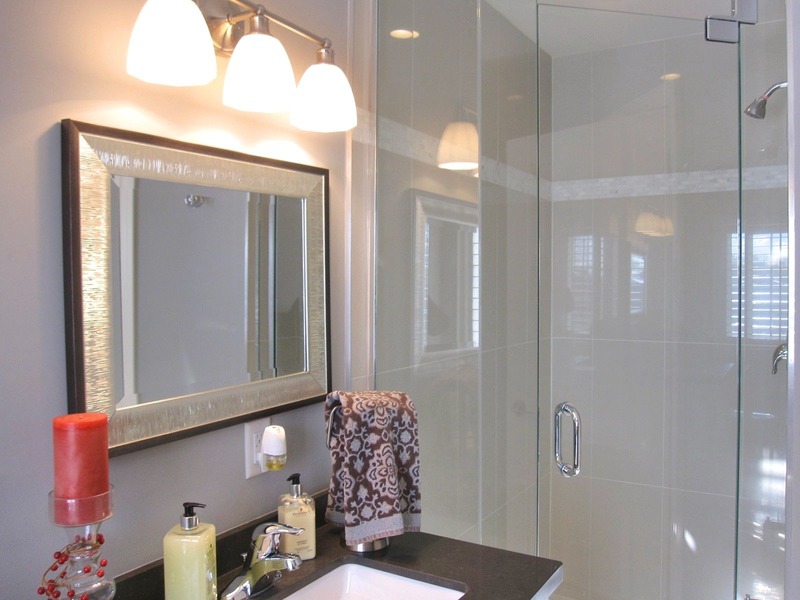 Enjoy the perks of soaking away the day in the tub, or refresh in your classic frameless glass shower. 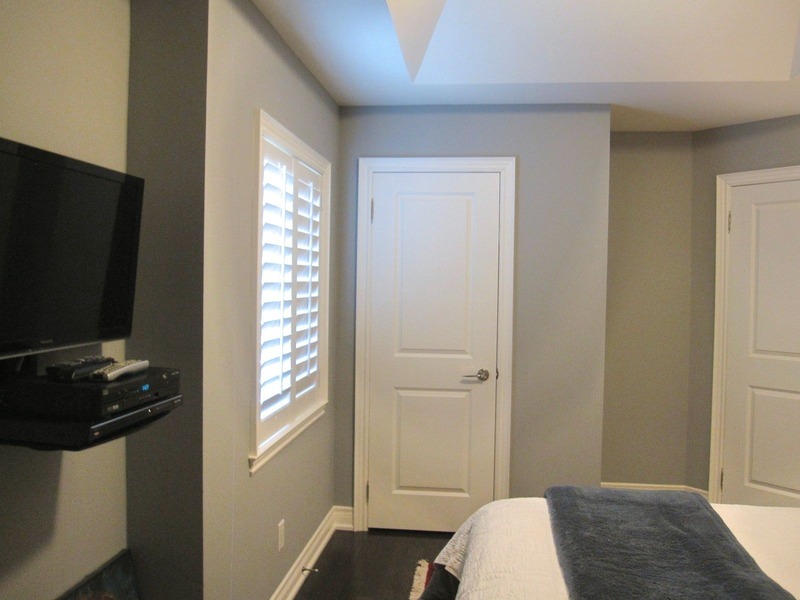 The Master bedroom is just that, “MASTER” this room has plenty of natural light and the perfect walk in closet for shoe storage, clothing, outwear and accessories. Yes, there is that much space! 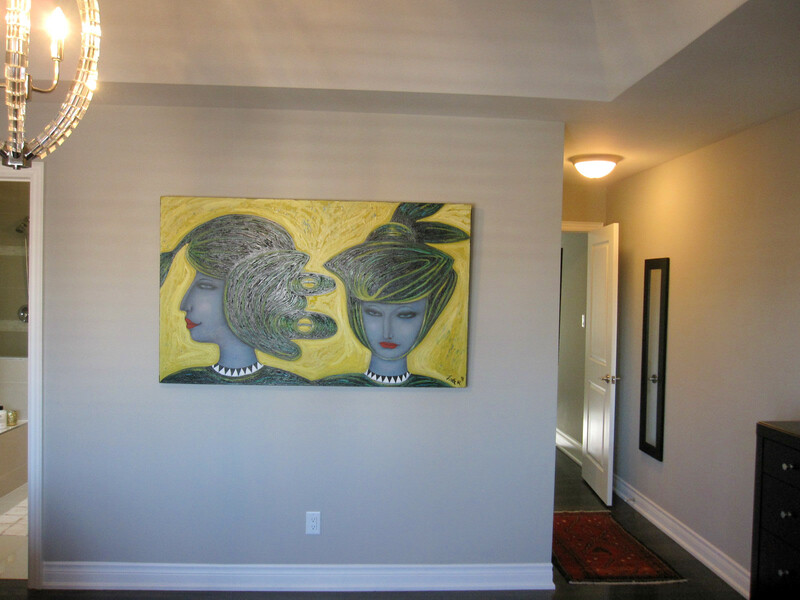 The paintings scream fun, vibrant sophistication adding to the beauty of the room. 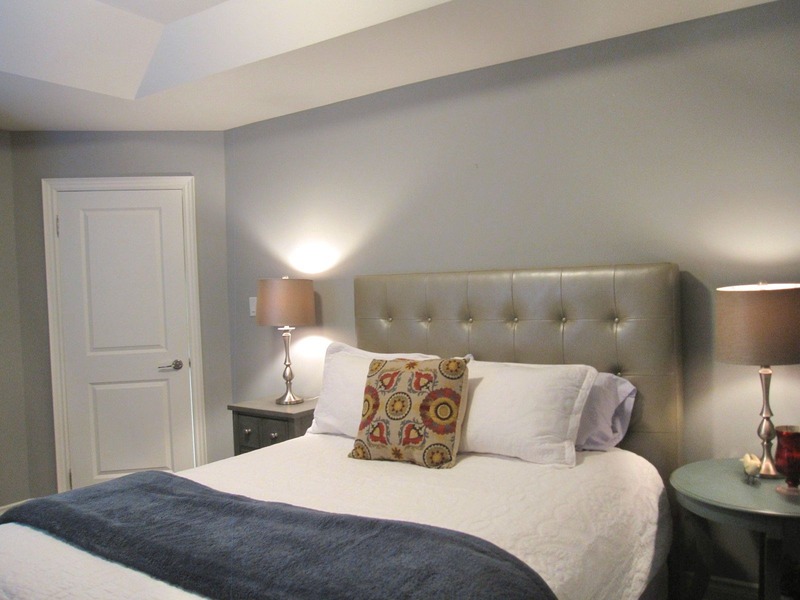 Your Queen size bed will guarantee you a great night’s sleep. This room is great for relaxation. Snuggle up in bed while you watch your favorite movie. 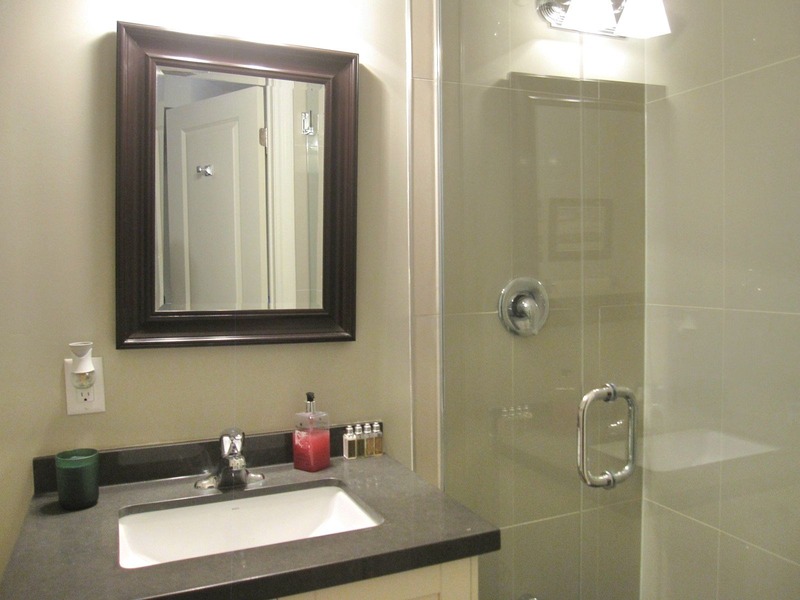 This master bathroom is equipped with a soaker tub, glass shower, and double sinks. 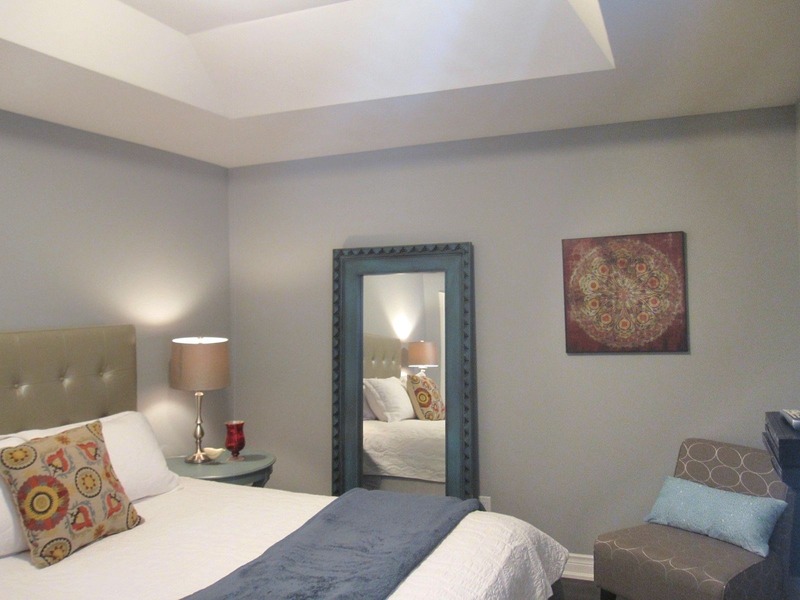 The mirrors are charming, the light fixtures are elegant and the sky light is incredible! 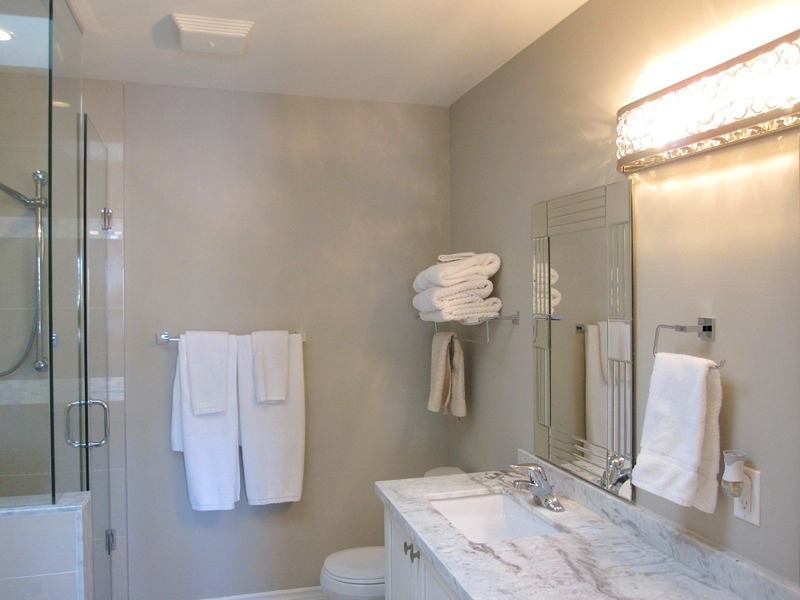 This bathroom is spa worthy! Summer days and nights are best spent at 18B Algoma. The backyard is perfect for enjoying the summer sun and a great BBQ! 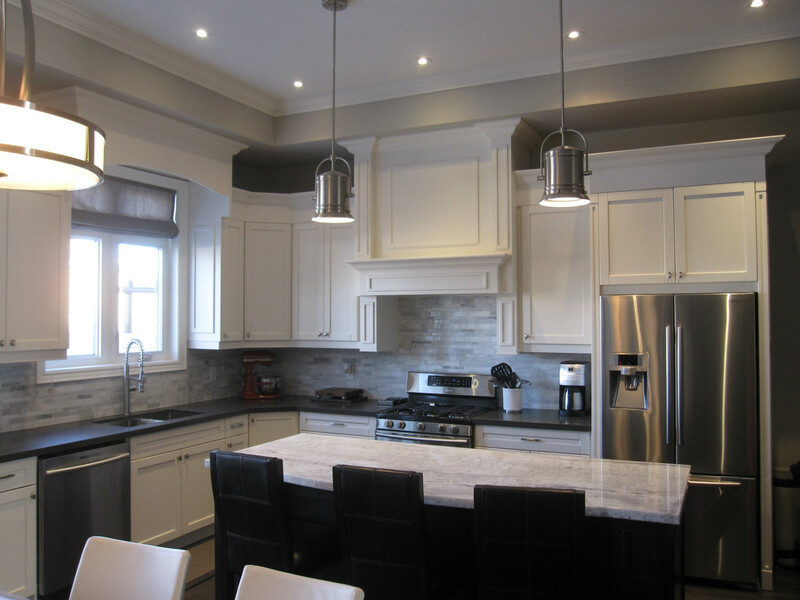 Come and see this beautiful home for yourself, you will not be disappointed! 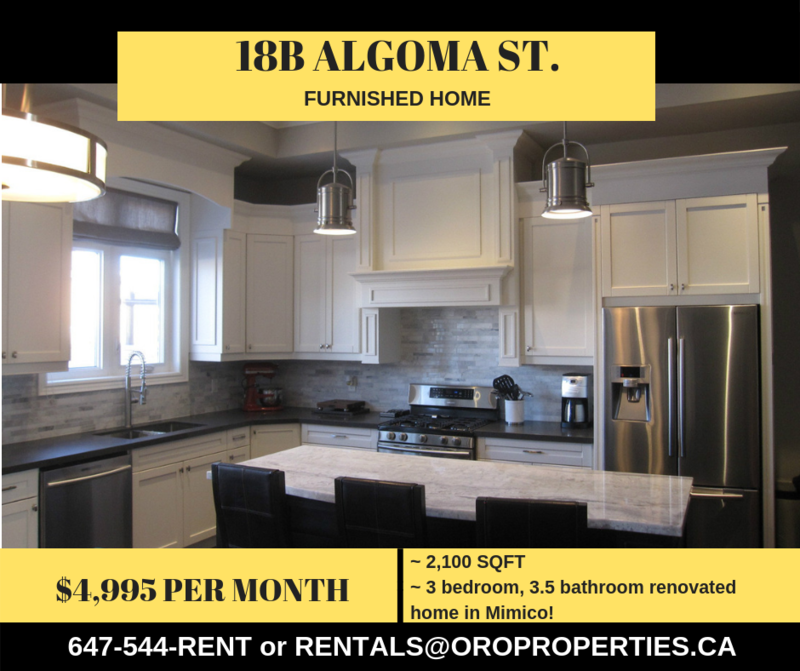 18B Algoma St. has a walkscore of 80! https://www.walkscore.com/score/18b-algoma-st-toronto-on-canada and is minutes away from the QEW and easy commute towards Mississauga, Pearson Airport, and downtown Toronto. Only 5 minutes ride from Lake Ontario! To set up your private viewing please call, text or email now! 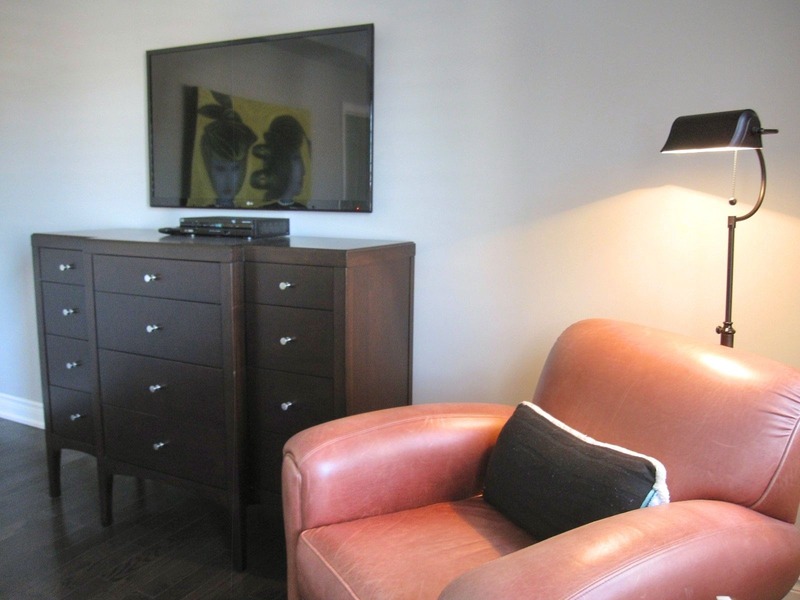 Amazing 1 Bedroom Condo In The Heart of Harbourfront! 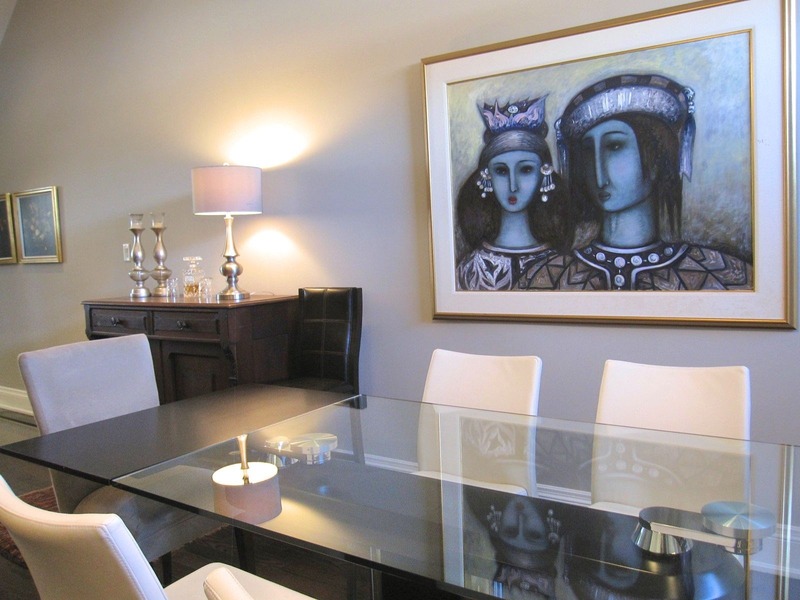 Clean, Trendy Eglinton West Gem Not your average basement suite! 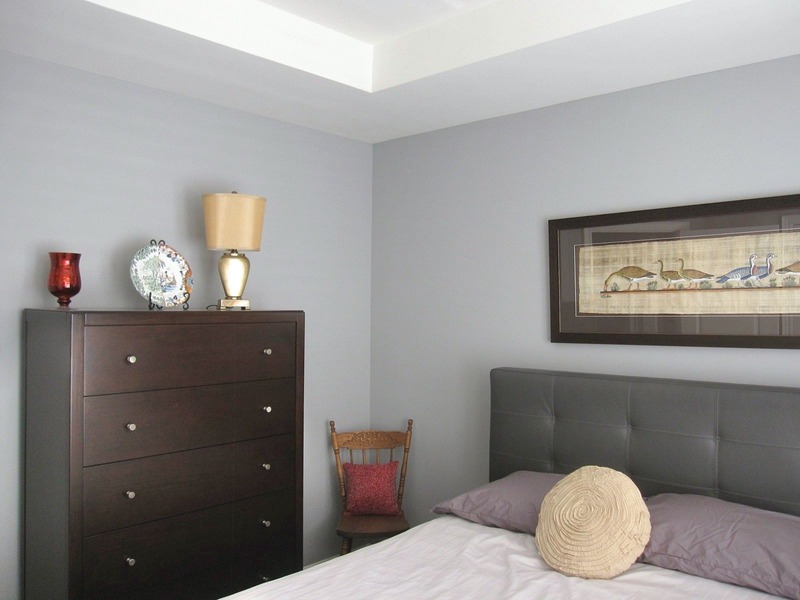 986 Dovercourt – Trendy, 2-Story apartment on the main strip of Dovercourt! 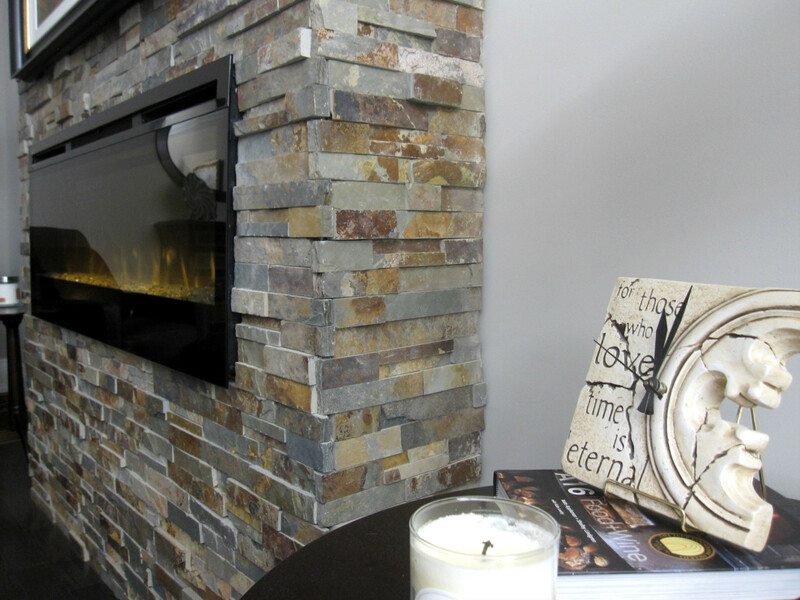 Oro Properties is the number one resource for all your rental and investment property needs.